You may also contact our office at (507) 6234-8989 or pass by our Sales Booth located at Fuerte Amador Mall, Isla Flamenco on the Amador Causeway. We take payments with Visa, Mastercard, Clave or cash. Click below to view a map to our location. 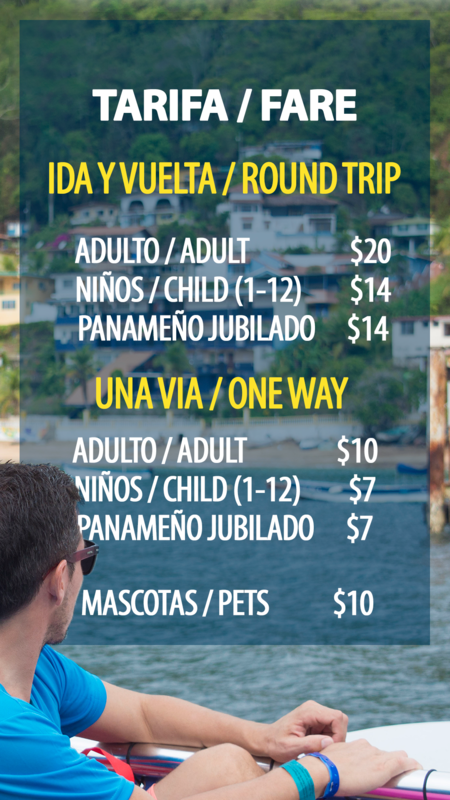 We are in Waze, Uber and Google Maps as “Taboga Express Fast Ferry”. There is an ATM cash machine available a short walking distance from the Check-In location. There is no ATM machine available on Taboga Island. Please remember to always carry your Passport with you when travelling in a foreign country. Security inspections happen in all areas of our beautiful country, and it is important to have your information with you to avoid issues. You can find us at Fuerte Amador Mall, Isla Flamenco, Amador Causeway, Panama City.